Made popular in the Victorian era, these classic penny tiles will add timeless beauty to any room. The Vintage eye drop frost blue glaze with a ring of white lends a luxurious feel to any décor. Impervious and frost-resistant, these mesh mounted tiles are great for interior and exterior use. Use them alone or pair them with other tiles. Product may be used indoor or outdoor. 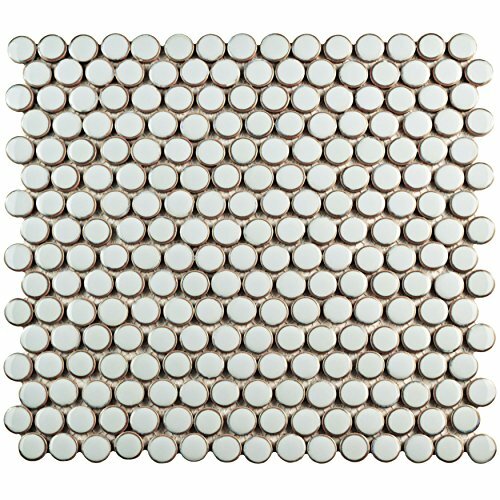 SomerTile FEQCRX Murmur Carrara Hexagon Porcelain Floor & Wall Tile, 7" x 8"